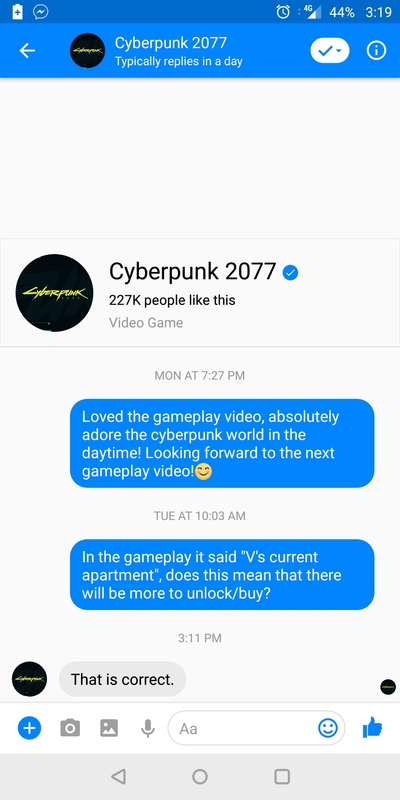 Cyberpunk 2077 will feature no companion system akin to those known from Fallout: New Vegas or TES V: Skyrim. But such a move has its purpose. Like in The Witcher, if the story calls for it, you want to have a companion or two for a mission, but you do not want to be a "companion system" where you're never alone. In some quests you want to be by yourself, in some you want to have one person like Jackie or even a whole group, and in other quests you might be alone or with someone else depending on the choices you made. We really want to have the story, so basically you'll always have someone with you. Don’t worry – Jackie is still here with you. No Boone from Fallout: New Vegas and no Aela from TES V: Skyrim, then. Put even simpler – no one there to carry your excess gear, but still many people to have a more or less friendly chat with in-between quests. Additionally, you should be able to bring some friends over to your new apartment (yes, Night City is full of properties you can transform into your pad, and these definitely can be bought), and the gameplay already proved that they were simply designed for one-night stands. Sorry, Jackie, you’re not invited – you’re in the friendzone.